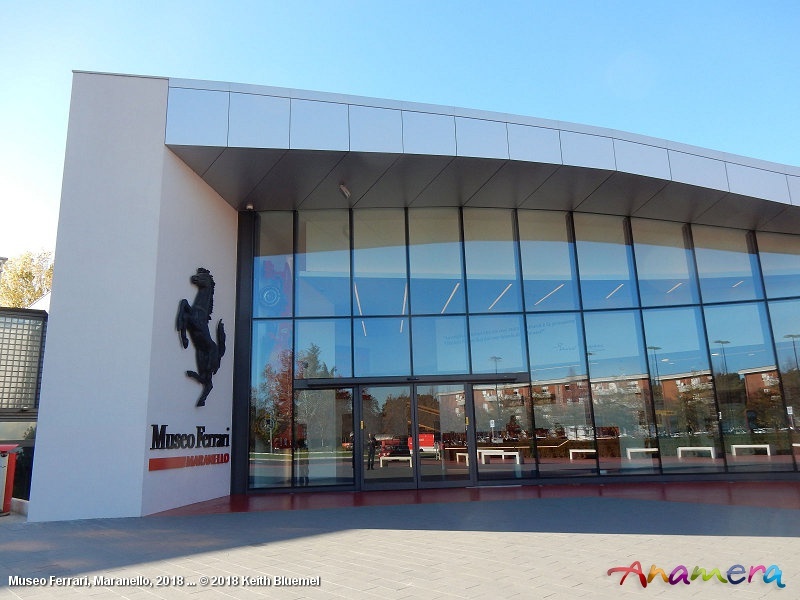 When in the Modena - Maranello area a visit to either, or both, the Museo Enzo Ferrari in the former or the Museo Ferrari in the latter is worth a visit to see what the current exhibition is. The Museo Ferrari in Maranello has been progressively updated and expanded in recent years, so with a spare hour or so it was the choice this time. One of the current display themes is “Driven by Enzo”, featuring cars that he drove whilst alive, in the year that marks 30 years since his passing, with a selection of 2+2 models, together with subsequent examples that he no doubt would have driven or been driven in, had he still been with us. The other current displays range from a 166 MM Touring Barchetta and a 250 GT SWB Berlinetta, together with a wooden body buck for the latter, to the current production zone with the wild FXX-K Evo the centre of attention. There also is the opportunity to see the bare bones of the 812 Superfast with a naked body shell and a stripped engine, together with a fully assembled engine on a display stand. The F1 amphitheatre is always a popular attraction, as it is a rare opportunity to get close to both historic and more recent F1 machinery, and at the same time see how the development has evolved over the decades. Aside from this the museum boutique and cafeteria areas have been expanded and remodelled, to provide more choice and greater space for visitors, whilst the Ferrari Store is only a few hundred metres away, if you can’t find what yu are looking for in the boutique.